Note: This is a teacher only feature. 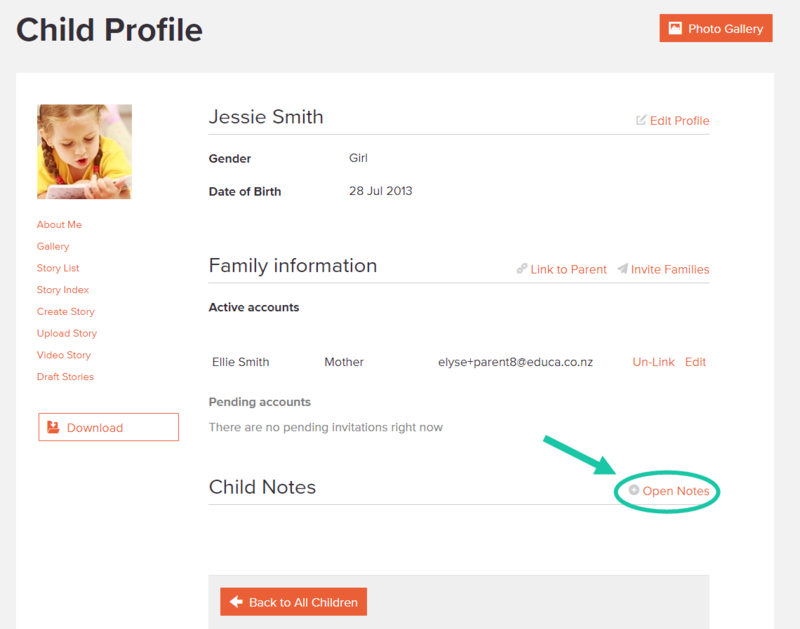 Private Child Notes is a feature that allows teachers to make notes against a child's profile, such as a reminder note to themselves or other teachers, or what to write for the child's next learning story. Parents will not be able to see these notes. 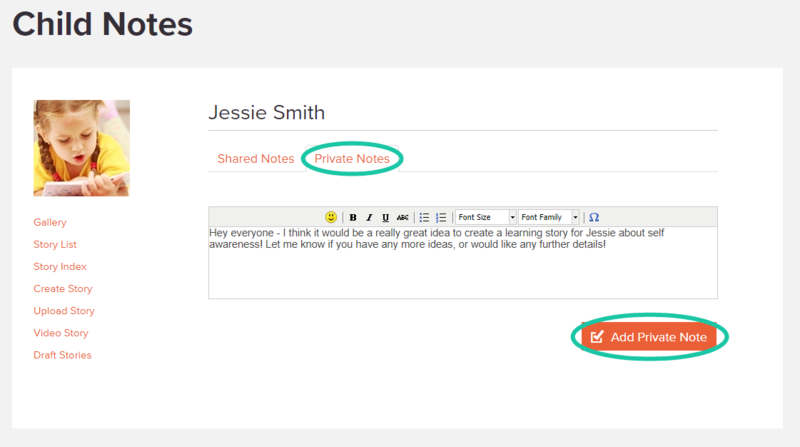 2: To leave a note for teachers, click on Private Notes. Then type into the text box on the Child Notes page. Then click Add Shared Note when you're done. 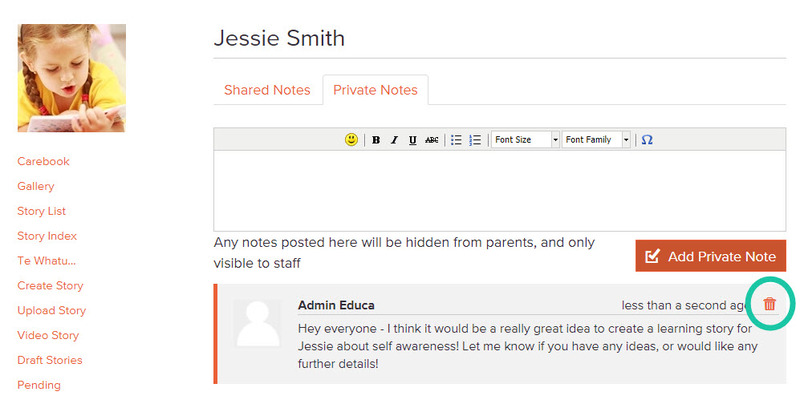 The orange stripe on the left-hand side of the note will indicate that it is a private note, that only educators can view.